How will feds handle exchange agent concerns? CMS wants to hear about issues and report problems to the producer's state of licensure. Officials at the Centers for Medicare & Medicaid Services (CMS) want to hear from states about any problems with federal health insurance exchange agents and brokers. CMS officials intend to share any concerns of their own with the state that licensed an exchange producer who has behaved in a way that raises concerns, officials say. CMS officials make those points in an update on exchange producer requirements. CMS is an arm of the U.S. Department of Health and Human Services (HHS). 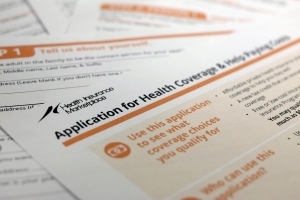 The update applies to producers who sell “qualified health plan” (QHP) coverage in the states in which HHS runs the Patient Protection and Affordable Care Act (PPACA) exchange. The guide does not apply to producers who work only with state-based exchanges or who do not sell any exchange coverage. The insurers that write the QHPs are responsible for paying the agents and brokers. HHS exchange officials are not verifying exchange producers’ licenses, paying commissions to producers, establishing exchange producer commission schedules, or offering to clear up disputes between the insurers and the producers. If, for example, producers think QHP issuers owe them commission payments, the producers should contact the insurers directly to discuss the situation, officials say. CMS will take complaints about exchange producers, through the Center for Consumer Information and Insurance Oversight (CCIIO). The CCIIO is the division of CMS responsible for overseeing the PPACA rules and programs that affect the commercial health insurance market. A state should tell its CCIIO state officer about any potential or confirmed instances of exchange producers failing to comply with HHS exchange rules. It also should tell the state officer about any state enforcement actions against exchange producers, according to officials. “CMS intends to coordinate resolution actions with all affected states, and any resolution actions taken under its statutory or regulatory authority will not supplant the states’ authority to pursue their own enforcement actions,” officials say. If CMS has concerns about compliance issues related to state requirements, CMS will expect the state to take charge of resolving the issue. CMS will monitor issues that relate primarily to HHS exchange requirements and “coordinate appropriately” with the state or states of licensure. Also in the update, officials answer a question about whether a QHP issuer can deny an application because a consumer filed the application with help from a broker or agent. Consumers can use exchange-licensed agents or brokers to help them file applications, and insurers cannot reject QHP applications from consumers simply because the consumers received help from exchange-licensed agents or brokers, officials explained.